HomeDevelopment Tips Is Bluetooth Low Energy (BLE) the Right Direction for Your Medical Device? Bluetooth. It’s named after Harald Bluetooth, the tenth-century king of Denmark who united the many bands of Vikings into a unified kingdom. Today, Bluetooth technology is banding together multitudes of disparate devices so that they can talk to one another. These features make BLE highly useful for many applications, and especially medical devices. 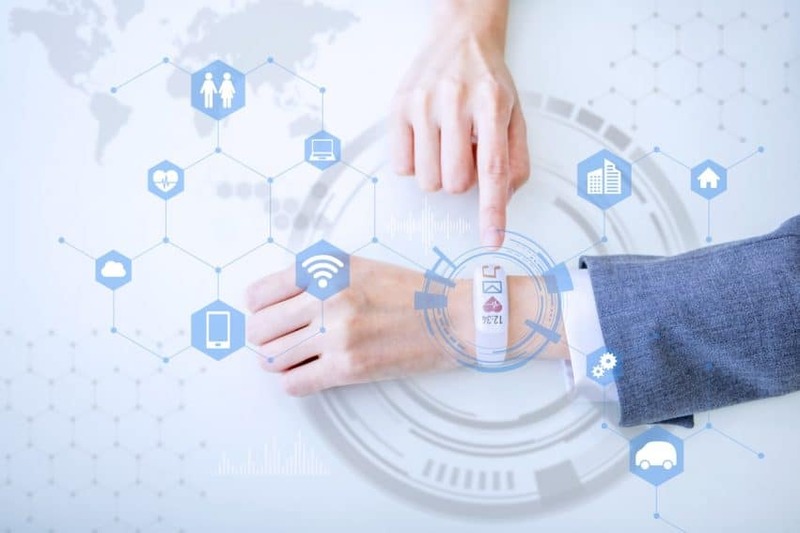 Beyond the consumer world where it has already made significant inroads (such as personal fitness devices, proximity sensing “beacons”, and battery life monitors, to name a few), BLE is starting to make major headway into the medical world. One of the biggest differences between BLE and classic Bluetooth is that BLE does not “stream” data. So, your data throughput requirements need to be considered when selecting a Bluetooth platform for communications. If your application can work well with less bulky and less frequent data packets, BLE might be the perfect solution for you. What Types of Medical Device Applications can BLE be Used for? Let’s say that you want to be able to pair a physician’s Android tablet to a multi-function patient monitor, but only when they are in close proximity. In this case you’ll want to artificially limit the distance over which a BLE connection can take place. BLE transmitters are up to that task, by using software to modify their transmit power. So, for example, if you want pairing to take place only when the medical device is placed directly next to the system to which it needs to download data, BLE can support that model. In essence, you can virtually “dock” the two devices simply by placing the tablet directly on or next to the monitor. Another example of a project using BLE in the medical world could be one that connects an everyday medical delivery system to the patient’s smartphone. Let’s consider a product that provides medicine to a patient on a regular basis (for our example, we’ll imagine a “smart” pill bottle). The pill bottle has been designed to contain a very small form-factor BLE transmitter that will activate at some predetermined interval to contact the patient’s phone to remind that it’s time for a dose. To get started, the user wouldn’t have to do anything more than download an app developed by the manufacturer. The pill bottle would determine when the patient opened the lid (to take the dose), and track how many pills are remaining. it would then use the patient’s phone to track when a dose has been taken, and can contact the pharmacy to order a refill when the number of remaining doses gets to some predetermined level. Imagine you want to know where in a facility a certain portable device (or group of devices) happens to be. For this need, you would configure the device to function as a BLE “beacon”. As a beacon, the device doesn’t actually connect to anything at all, it simply says “here I am”, and/or “this is what I am”. This type of configuration can suit your needs if you require some sort of location tracking of a device, but don’t need to transfer data. An example of this is an installation of BLE beacons at the Dallas/Fort Worth Airport, which uses “geofencing” to trigger the display of location-relevant information on passengers’ devices to improve way finding in the terminal. Think of it as having your own, automated guide through the airport, which would readily translate to a medical facility type of environment. 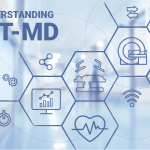 Conversely, you may want to flip that scenario around and have BLE-enabled monitoring systems in fixed locations throughout a facility, strategically located to identify a wandering medical device as it comes into the radius of their range. In this case, it’s a simple and inexpensive matter to affix a BLE beacon to an existing device in order to allow its location to be tracked. For instance, a hospital has numerous patient beds, but those beds are constantly being moved from patient room to patient room, to the Operating Room, or just sitting in the hallway waiting for assignment. With BLE, the hospital can know which ones are where, and easily find the right bed for the right application in no time. The possibilities are endless. So, do I need a special operating system to work with BLE? Do I need to buy some expensive embedded operating system or can I use an off-the-shelf solution to meet my product development needs? As detailed below, BLE is supported in varying ways on many of the most popular mobile and desktop operating systems. BLE is an ideal match for mobile applications, as there’s not a smartphone today that doesn’t provide the ability to connect to any kind of Bluetooth device out there. All you need is the accompanying application, and you can be connected in no time at all! Both iOS and Android readily support the BLE interface, and simplify the connectivity through their extensive APIs. Once you’re connecting to the device, and reading/writing data, it’s then simply a matter of how to provide that data to the user. In that case, a slick UI is what can separate your application from the others. For Windows systems prior to Windows 10, there is no support for automatic pairing of Bluetooth devices. Therefore, I recommend using a BLE USB dongle. I’ve had excellent success using BlueGiga’s BLED112. This wonderful little piece of technology completely circumvents the need to adapt to the minimal functionality available on older versions of Windows for BLE connectivity. When using a BLE USB dongle, it’s simply a matter of writing code to automatically find and connect to your device in order to communicate with your host application. The dongle is a relatively low-cost hardware solution (generally around $15 per unit) that can convert an existing Windows system into a BLE connectivity-ready solution. As I write this blog, Windows 10 does not yet support automatic pairing of Bluetooth devices (including BLE) via your host application. However, we’re told by Microsoft that this functionality will be available soon in an subsequent release of Windows 10. In the meantime, you may want to consider the dongle approach as an interim solution. I haven’t yet had a crack at trying to pair a BLE device under the Apple Mac’s OS X (El Capitan). However, everything that I’ve researched tells me that it’s as straightforward to create Mac applications as it is to create mobile apps for iOS devices. Pretty much everyone has had some kind of encounter with BLE over the past few years, or at least Classic Bluetooth. BLE is a more recent entry into the Bluetooth family, but it’s getting easier to use and it’s improving all the time. The latest version (4.2) adds security, speed, and data packet size to BLE. As a matter of fact, the data packet size has been increased almost 10x (from 27 to 251 bytes!) that translates to a pretty impressive data rate of over 800kb/second. Other new features reduce the already low power consumption and increase privacy and security, preventing “unauthorized” devices from accessing these new BLE devices. All in all, BLE just keeps improving, and is becoming more ubiquitous every day.